it’s me again. :D This time I would like to show you an outfit with my blue jumpsuit. When I spotted it in an S. Oliver store, it just had to be mine! No surprise, since I’ve been having a little obsession with blue and coral shades lately. 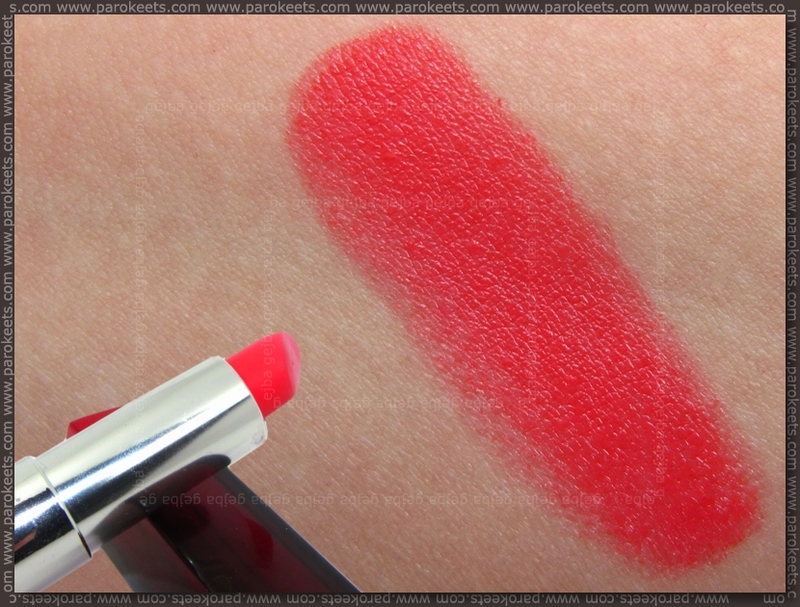 Speaking about coral… Let me introduce to you my favourite lipstick: Maybelline Color Sensational in Coral Tonic (422). It is just perfect – it is quite long lasting, it doesn’t dry out the lips and the color is absolutely awesome – just right for the summer! These two are definitively among my favourite items, I purchased this summer. Which are yours? The days are getting shorter and summer is slowly saying goodbye to us. But it is not over yet! Try to catch the last warm sunbeams and enjoy it! Nail Polish – Essence Bright Alert! Thank you. :wink: The staying power is ok, but is definitely not a “long lasting” lipstick.